Mr. Chicago house and I had a little wander down to our favorite secret beach last week and collected a lovely bundle of drift wood. With a bit of creative magic I used it to whip up Seahorse! isn’t she lovely…I have called her Sally, at the moment she is gracing a wall in my office. Cut out your shape using a utility knife. You can see from this picture I taped two peices of cardbord together to get the height I wanted. Sort through your driftwood and start laying it over your cardboard, this process is really trial and error. I tried to keep the placement tight over the seahorse’s belly but was quite happy to have a more ragged look over the back. I kept the driftwood pieces mostly parallel. Once you are happy with your choice and placement of the driftwood, fire up your hot glue gun and start sticking everything down. I started at the tail and worked up. 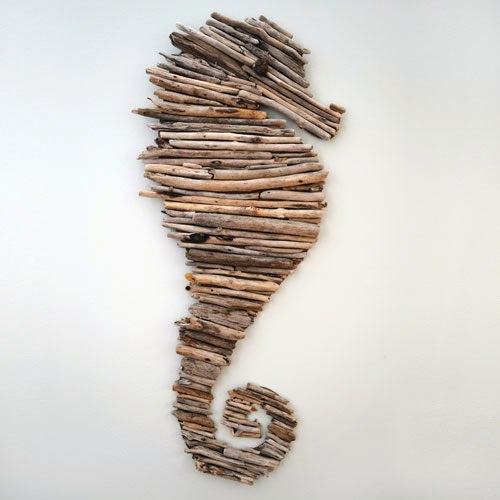 This entry was posted in Art, Coastal Crafts, Coastal Decor, Craft Projects, Home Decor, Natural Materials, Trash to Treasure, Wall Art, Wood and tagged budget, coastaldecor, driftwood, seahorse. Bookmark the permalink. me ha encatado , esta regio,gracias. Exactly the idea I was looking for, for my newly collected driftwood pieces. Adorable! Wow, that is incredible. I love it. I want one for myself. Exactly the idea I was looking for for my newly collected driftwood pieces. Adorable! 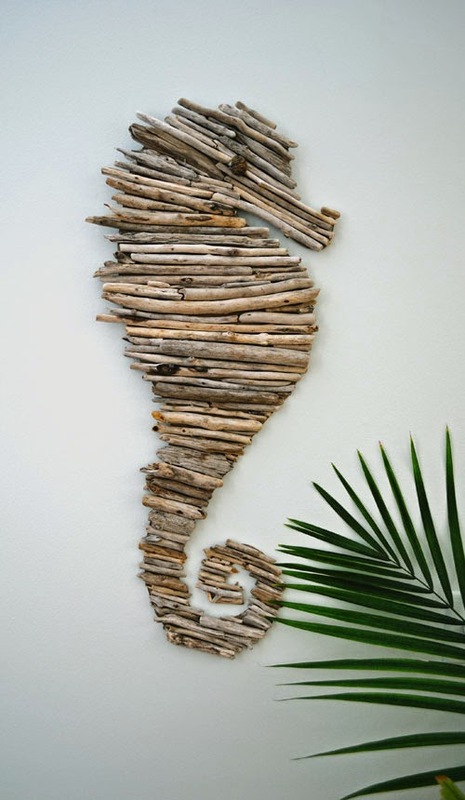 Love drift wood…love seahorses…just like the commercial for Reese's peanut butter cups. Really neat idea if you can spend time walking the beaches, especially after a storm. Thanks for sharing. I love this so much! I grew up on Long Island surrounded by beaches and never found a haul of driftwood! Absolutely love this!!!! Pinning it! Wow this is amazing and so very clever. Love it. Thanks for sharing. WOW! WOW! WOW! 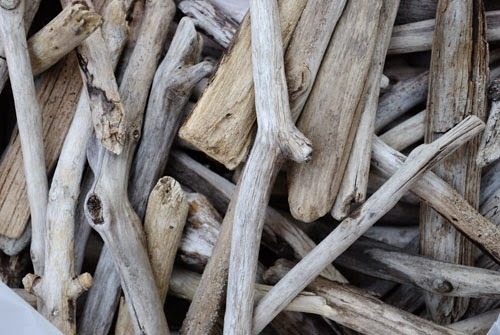 I can't wait to go and find some driftwood, this is truly inspirational, and would look TERRIFIC on my new bathroom wall! This will look brilliant in the courtyard of the beach house villa at mooloolaba qld. I have some marine ply let over from another project to attach it to. Beautiful! This is so pretty. I love it! I featured it on my weekender. I love this – but have a question: How did you hang it on the wall? I threaded some thin string onto a fat needle and stabbed it through the cardboard and created a loop. Hope that helps ans glad to hear your liked the seahorse! I love this idea! I would love it if you joined and contribute your awesome posts at my link party at City of Creative Dreams, starts on Fridays 😀 Hope to see you there at City of Creative Dreams Link Party. This is such a creative project. 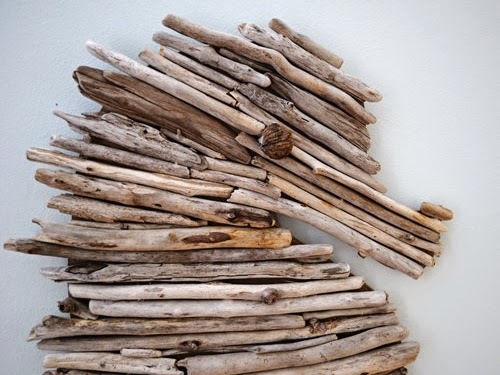 Love the soft look of driftwood and finding new ways to use it. Your seahorse is so sweet. What do you put on the wood to preserve? Nothing, the driftwood is very dry and not really prone to rotting. If I hung it up outside it may be a different story! OOH, this would look great in a beach cottage! 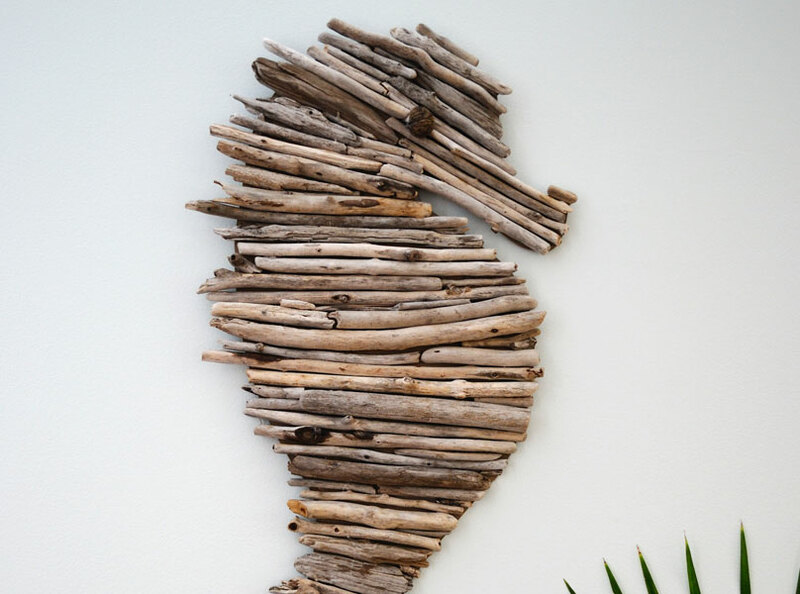 What a great idea…enjoy a walk on the beach picking up driftwood then use it to make something beautiful for your home! And we can follow the same idea you laid out for so many designs, like sand dollars, starfish, fish, etc! Thanks for sharing! Thanks for your kind words Amelia ..funny as I have just made a pair of driftwood fish! Love this! I'm working on one now. Just curious…what did you attach on the back to hang it and how? Can I say how much I love this. Couple of questions, how thick is your cardboard? I know that it has to be thicker than what it seems. Also, what is the height of it? Finally, would you just sell that one to me, I have no talent, no skills. lol!!!! The cardboard I used is very stiff, I am not sure how thick it is. I got it from the back of a large sketch pad. The height is about 30". Thanks Zoe. I really want to do it, but, scared. 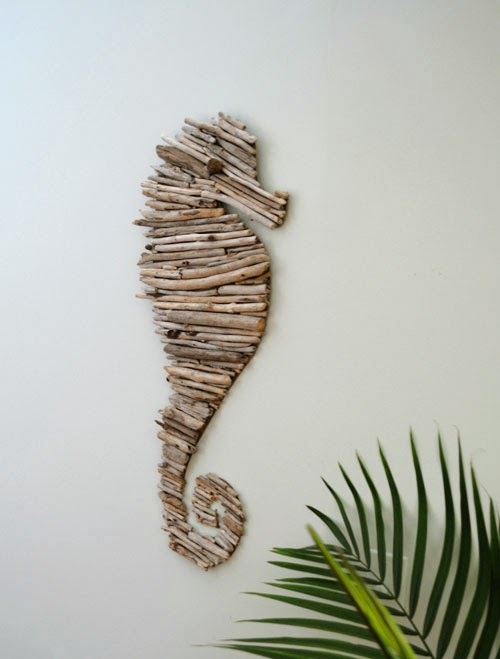 I want soooooo much to make this seahorse, however, I live in an area that is far from the beach. Does anyone have an abundant supply, that they would care to donate, or sell?? I'd rather not purchase on ebay. Any replies will be very much appreciated. 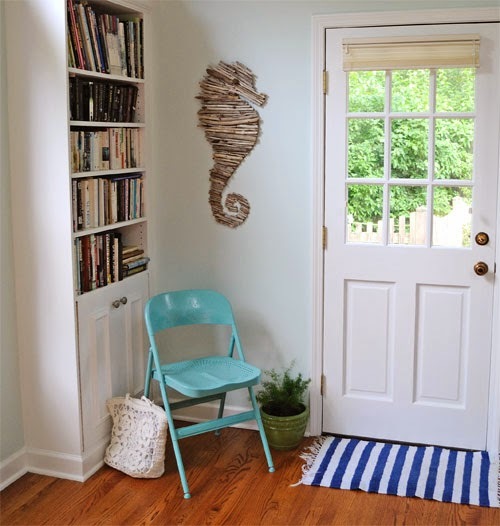 Hi Zali, Thanks for sending along a photo of your seahorse…it's lovely! I so want to make this! Send me a photo of your masterpiece! ohhh love this…I’m thinking I’ll do a five point star on black canvas (prestretched), should look a treat. I came across this a few months ago and have been dying to try it. I had to make driftwood since our nearby beaches are pretty empty, but I found a great tutorial online and Hurricane Matthew provided me with a lot of branches. I soaked them, bleached them, and now I’m just waiting for them to dry. Hopefully I will have time this weekend to create a “Sally” of my own. With your instructions I’m hoping it turns out as great as yours did! Send me a photo of your Sally! Love it!! I am in the process of making a turtle and it is slow going! Think I need to get back to it! 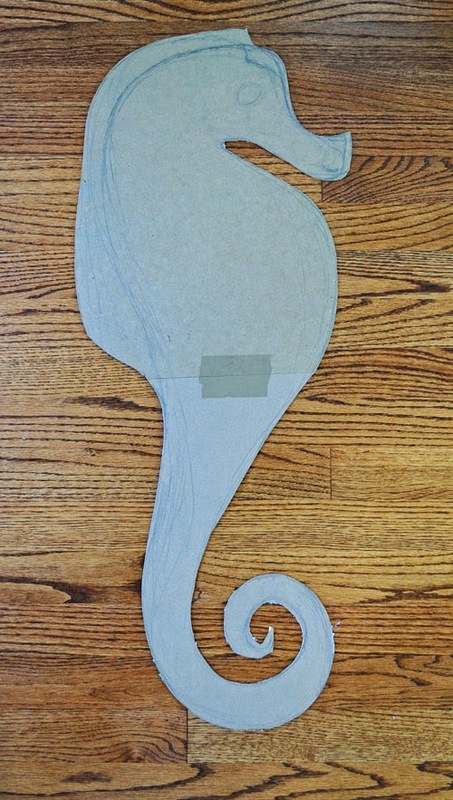 try printing out a simple seahorse shape and drawing a grid over it to help you draw a larger version.